Thank you to all those who participated in the 2019 Chiropractic Day! Chiropractic physicians, assistants, and family members showed the strength of Chiropractic in action at the State Capitol! 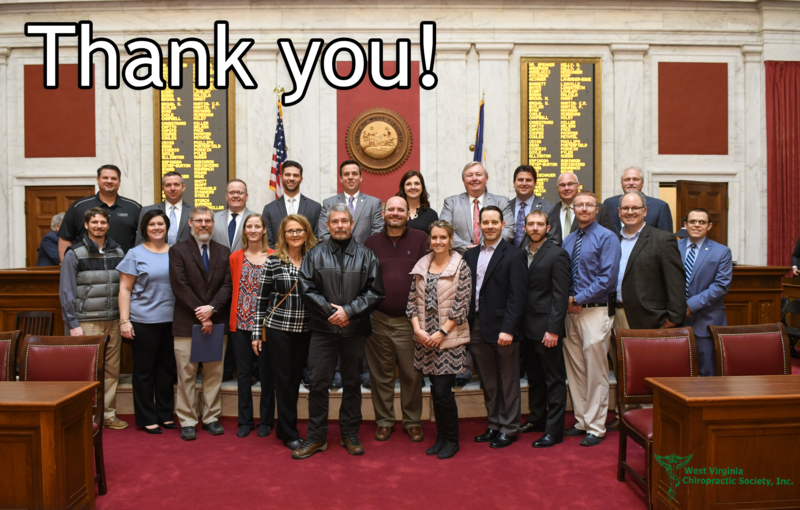 Joining together, they brought a unified message on issues impacting the profession and the health of all West Virginians. Their presence is a testament to the dedication and passion that is alive within our profession across the state.